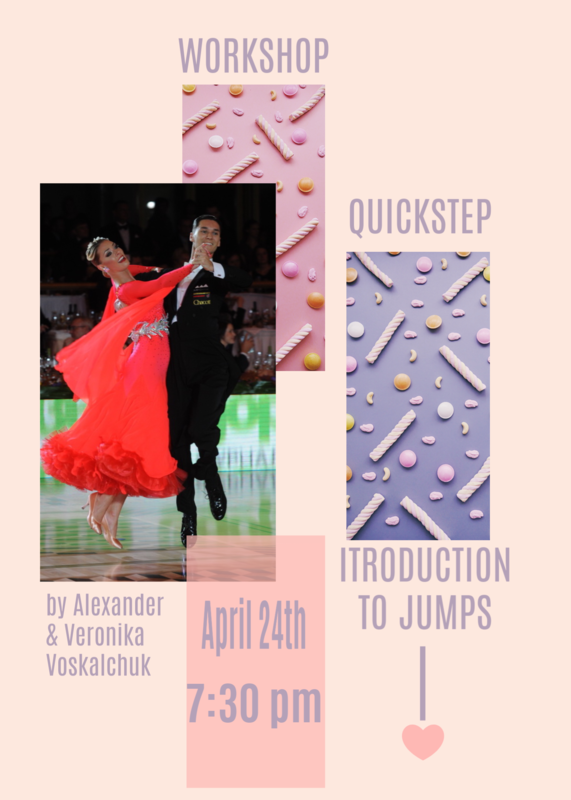 Goldcoast Ballroom & Event Center | SPECIAL WORKSHOP - 'QUICKSTEP - INTRODUCTION TO JUMPS!' - Wednesday, April 24 - 7:30 PM - with US Open Professional Ballroom Champions ALEXANDER & VERONIKA VOSKALCHUK!! 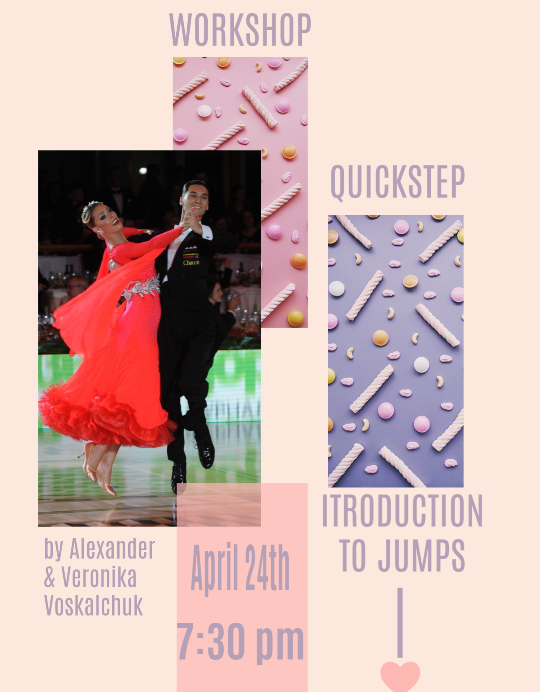 SPECIAL WORKSHOP - 'QUICKSTEP - INTRODUCTION TO JUMPS!' - Wednesday, April 24 - 7:30 PM - with US Open Professional Ballroom Champions ALEXANDER & VERONIKA VOSKALCHUK!! WDC U.S. Open Professional Ballroom Champions! We are truly Honored to have them with us as Instructors – Full Time! from two of the Very Top Ballroom Dancers in the World!! 2 Times U.S. National Professional Classic Show Dance Champions!! 5 Times U.S. National Professional Ballroom Finalists! 7:30 PM – 8:30 PM! !